This shouldn’t work. There’s no way I should have a low-end smartphone jammed into a $20 mobile headset and be able to play VR games of any kind on Steam. But that’s what I’m doing. 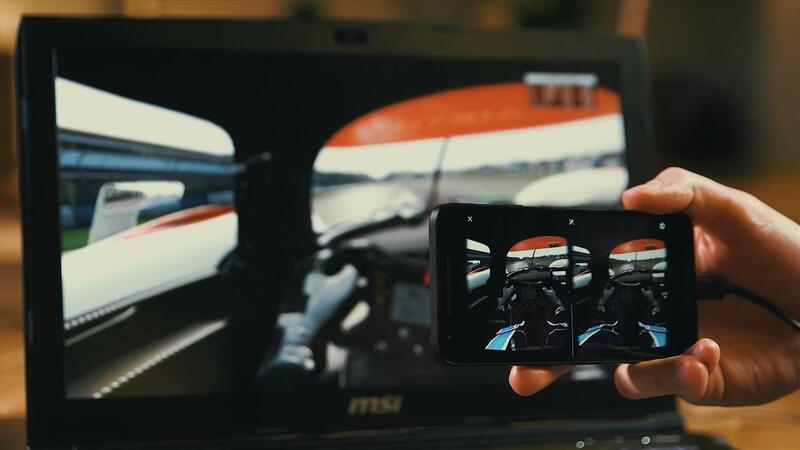 And these aren’t just phone VR games that have you spectating 360-degree videos. These are legit AAA titles. It’s a short but growing list of games. Right now I can fire up VRidge and play Minecraft, Elite Dangerous, War Thunder, and Project CARS with this weirdly affordable VR solution. Okay, let’s back up, and let’s be realistic while we're doing it: VRidge isn’t the full-blown virtual reality you’ll get from a PS VR, Oculus Rift or HTC Vive for $200, $400, or $800. But I’m at least getting a “seated VR” experience out of this for much, much cheaper. That ain’t bad for a $15 app, the phone I already had, and a $20 mobile VR headset (which I also happened to already have); your headset can even be a $5 Google Cardboard for even more cost savings, but you’ll at least need to free up your hands for a gamepad by getting a head strap for that thing. 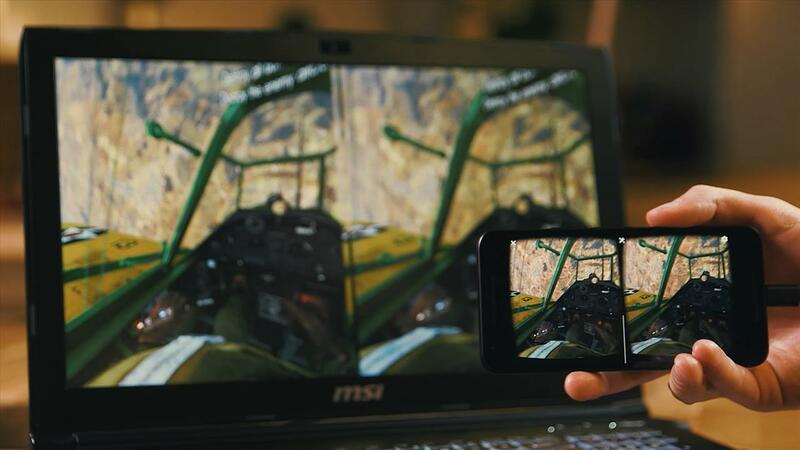 So, if you already have a smartphone, VRidge can give you a taste of what VR gaming is like for, what, $20 or $30? Like I said, this shouldn’t work. But it does, if you temper your expectations. First off, you’ll have to pardon my low-end phone: it’s an ASUS ZenFone 3 Zoom. It sits in the sub-$300 range. Trust me, I’m not bragging about the phone. While a $700 Razer Phone or Samsung Galaxy S9 would handle everything the VRidge could put out, it’s at least a little bit impressive that my modest ZenFone can stomach the VRidge's requirements at all. Sorry for all the boring price talk. Nobody came here to read a review about my low-end phone. It’s only worth mentioning what I’m working with so that we’ve all got some perspective on, well, why the VRidge isn’t a perfect solution for me—despite its low barrier to entry. 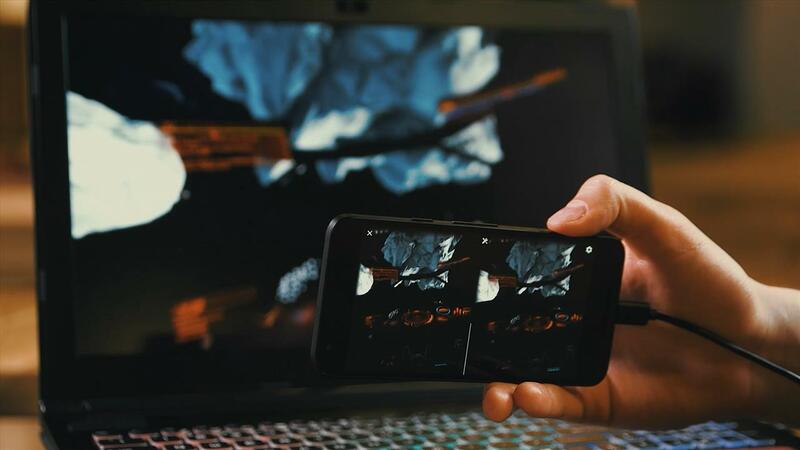 At its most basic, VRidge convinces your phone it’s an HTC Vive or Oculus Rift headset. I don’t understand all the witchcraft that goes into it. All I did was download the VRidge app onto both my phone and my computer, connected them, and I was on my way. I had access to that small and growing handful of VR-capable games in my Steam account. Yes, I had to have bought the games first. VRidge won’t hook you up with free copies of Minecraft, Elite Dangerous, and Project CARS. War Thunder is free to play, though, if you need an easy-access point. Since VRidge doesn’t come with hand controllers and cameras to complete the virtual reality package, this keeps it a strictly headset-centered experience. Without VR hand controllers or wands, VRidge doesn’t know what your hands are doing. Without cameras placed on multiple stanchions around the room, VRidge also doesn’t know if you’re sitting, standing, or reenacting Japanese Kabuki theater. That’s okay. Again, it’s meant to be a low-cost solution, and the second you start bringing controllers and cameras into the picture, you’re spending a lot more money. Elite Dangerous served as my entrypoint into this world of low-cost VR. Elite Dangerous is a sci-fi space flight simulator from Frontier Developments. You’re running around in dozens of grind-worthy spacecraft across a realistically modeled Milky Way galaxy. It’s awesome. And while you do fly from planet to planet, star to star, you’re glued inside of a cockpit the entire time. This makes it ideal for VRidge’s seated VR experience. To my advantage, I also have a HOTAS (Hands On Throttle-And-Stick) which makes plane flight in any game a bit more realistic than using a gamepad or mouse and keyboard, though Elite Dangerous is completely playable using either of those setups, too. There’s something a little bit wonderful about having my face in a VRidge and my hands gripped to a HOTAS. 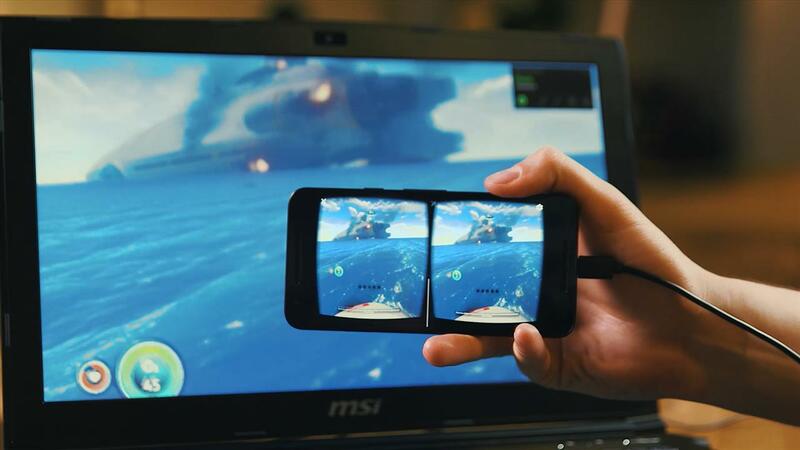 Thankfully, I already have some muscle memory that’s reminding me how to fly my ship even though I cannot physically see my HOTAS; the VRidge is running in my mobile VR headset, remember, reducing my outside visibility to nothing. But this is great. I know I’ve sat in this cockpit before: joystick on the right, thruster on the left. On the desk in front of me is the keyboard and mouse for supplemental in-game menu navigation, check, check. But this time, I’ve got my Google Cardboard knockoff strapped to my head. My headphones complete this admittedly chuckle-worthy setup. I know I must look at least a little bit ridiculous. Acknowledging that fact long ago, I’d already glued googly eyes to the front of my headset. This is the first time I’ve been immersed into any type of virtual reality outside of the always-broken demo headsets at Best Buy. In my living room, I’m hoping my wife isn’t laughing as loud as it sounds through my noise-canceling headphones. But she is. She’s laughing her good-natured laugh and—oh goody—now she’s taking pictures. Time to ignore that for now. I’ve spent hundreds of hours—actual hundreds—in Elite Dangerous. But it’s never quite looked or felt like this. In game, there’s the joystick affixed to the right arm of the chair, throttle to the left. The radar panel hovers in front of me while my orange flight suit fits around my chest and legs, down to my boots. And I know that when I look up and around the glass of my cockpit I’ll see the Milky Way stretch out in every direction, as far as the eye can see. With VRidge, I’m seeing all of this with a depth perception I’ve never felt before, compared to when I’m simply sitting in front of my 2D monitor on top of the garage sale computer desk in my living room. I’m barely past Elite Dangerous’s main menu, and I’m starting to be convinced. VRidge has taken my cheap Asus ZenFone 3, and a cheap phone VR headset (I think it’s from a company called Canbor), and turned both into a sitting-VR setup. Despite my phone’s inability to keep up with all the visuals, Steam indeed now thinks I have an HTC Vive on my head. There's a lot of screen door effect with the size of the pixels. Moving my head too quickly creates stalls and stutters. Sadly, in the end, the resolution makes it so that I can’t fully recommend the VRidge experience in Elite Dangerous—mainly because the game’s multitude of menus are typed up in too small of a font to be legible via VRidge. I'm able to stumble around the menus stupidly, but only because I already have a lot of hours clocked in Elite Dangerous. I know exactly which buttons to push, without looking, in order to request take off and landing permissions from the tower, and how to pick out a vague star system to jump back and forth from. But if I didn’t have that muscle memory, this would be unplayable. Which is too bad. Because I love this feeling of virtually sitting inside of my cockpit instead of just sitting in front of my computer screen. Just undocking and soaring around the space station I was at was joyful in a way I hadn't experienced in a long time; I hadn't gotten such a kick out of just flying around since my earliest days in Elite Dangerous. I even think for a minute that my brain is going to try and get nauseous on me; but again, that's only because this is my first real-ish VR experience. So, even if I’m not 100-percent sold due to a resolution issue from my insufficient phone, my brain is at least a little bit convinced that all of this is really happening. Not bad, VRidge. I’m disappointed in myself for not having a phone with the chutzpah to sell me on this all the way, but VRidge at least got my brain in gear for this whole virtual reality thing. After 30 minutes or so, my phone was pretty warm and the battery percentage had taken a noticeable hit. That was to be expected. The one advantage my ZenFone 3 Zoom happens to have is that it packs a ridiculously large battery. It’s mainly for all the video you’ll presumably be shooting with it. But the monster-sized battery works to VRidge’s benefit, too. Your experience will vary, but as a general rule, you won’t be firing up VRidge at the end of a long work day without first getting your phone juiced back up. I like the ideas behind VRidge. Perhaps with more optimization from the obviously very hardworking developers, my low-end phone would make a lot more games playable, rather than just theoretically playable. Or maybe I’ll just belly up to the bar and have my next smartphone be a flagship that can push all the pixels required to make even Elite Dangerous’s illegible menus be legible. Until then, I’ve got nothing but good things to say about the ambition behind the VRidge. If nothing else, it's the first thing I've used that's made me consider taking the plunge on a full-blown VR setup. 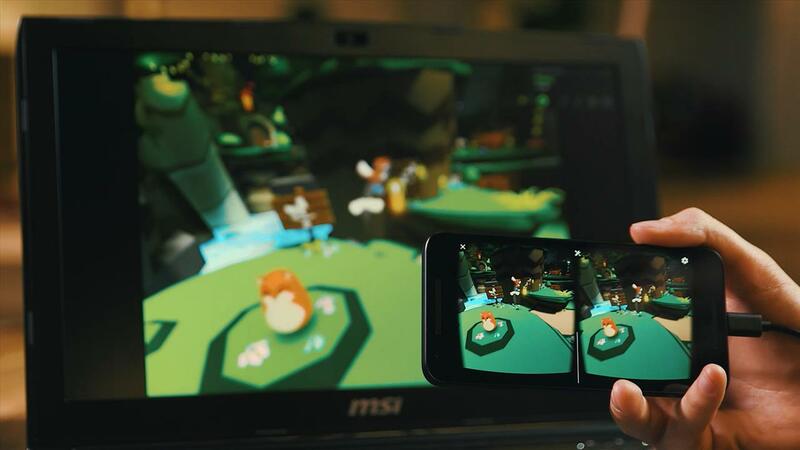 If you’ve got a top-tier phone and a smartphone headset, but aren’t ready to commit to full-room-VR with a Vive or Oculus Rift, then VRidge is a must buy. Especially at the price.